Many natural and non-natural hazards threaten food security, especially in urban areas where growing populations place extra demands on the food supply. Ensuring stable food security before, during, and after disasters requires resilient food systems that can withstand and recover from disruptions. However, few U.S. cities have considered food systems in disaster preparedness or resilience planning. This reflective case study from the participant-observer perspective examines the process and outcomes of a city-university collaboration to assess and begin to improve the resilience of Baltimore City’s food system. 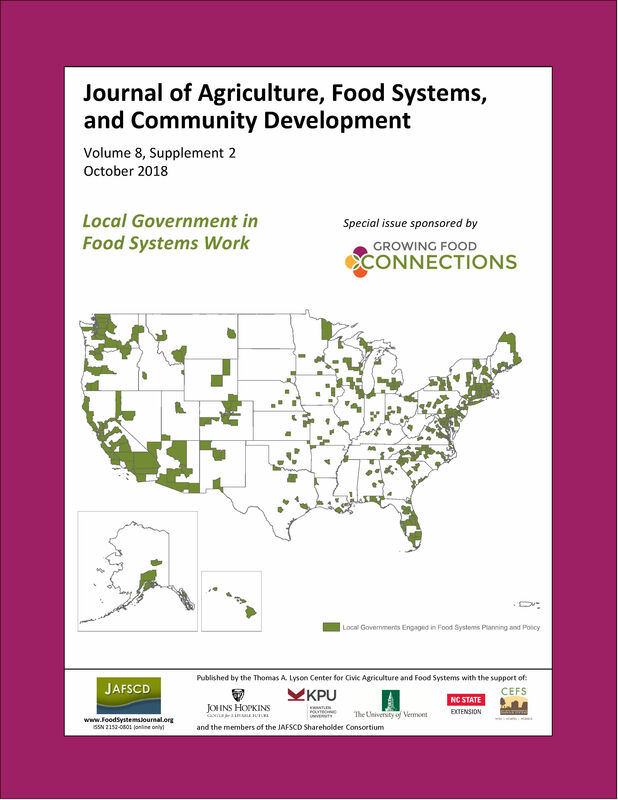 An academic center and municipal department of planning partnered to assess and plan for short- and long-term food system resilience. An Emergency Food Working Group convened for three meetings over three months, resulting in the creation of an emergency food access protocol for acute event response. A broader Baltimore Food System Resilience Advisory Report was then developed based on 36 key-informant interviews with food system stakehold­ers, literature reviews, and geo­graphic information system (GIS) mapping. That report included an assessment of the Baltimore City food system’s vulnerability to hazards, the extent of stakeholder preparedness for food supply disrup­tions, and identified opportunities for enhancing long-term food system resilience. It presented policy recom­mendations for Baltimore and a framework for conceptualizing food system vulnerabilities. Policy recommendations and lessons learned from this planning process can serve as an example for other cities interested in enhancing the resilience of their food system or broadening the scope of their resilience planning.